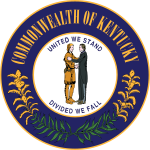 The 1984 United States Senate election in Kentucky was held on November 5, 1984. Incumbent Democratic U.S. Senator Walter Huddleston ran for reelection to a third term, but was defeated by Republican Mitch McConnell by less than 0.5%. This page was last edited on 21 February 2019, at 10:26 (UTC).